Accounting is an essential part of any business, and book-keeping mistakes can sometimes cost your business a huge amount, so it’s best to ensure that you have everything in order before it’s too late. According to a recent survey, over 90% of business owners are worried about committing an accounting mistake in their business. So, firstly, it makes sense to address what these mistakes are so that we can help you avoid them at all costs in order to protect your business. The most common mistake business owners often make is mixing their personal and professional finances. It can create a huge problem when it comes to calculating the yearly revenue of your company. So, the best practice approach is to keep it all separate. Use one bank account for your personal finances, then a separate account for anything relating to the business. Also, it is always a good idea to have a business-only credit card so that you can keep track of your business expenses. Asking your customers to pay at the time of purchase or provide a time period of 30 days only. Get in touch with your clients to check that they have received your invoices and are on track to pay on the due date. Keep regular track of your financial statements and customer’s payment histories, and if any payment date goes missing, follow up with your customer’s immediately. To track your unpaid invoices, you can also invest in a cloud-based accounting solution. It will make the tracking of your unpaid invoices easy by automating the monthly invoices. Tracking your business expenses using traditional methods can result in you losing important receipts and data. Make it a priority to catch up with technology and use it to your advantage, just like every other business out there. There are many apps and software options available online which you can use at your disposal with just the click of a finger. Apps such as AndroMoney, Fudget and LearnVest are particularly good for small businesses and with their help, you can generate your business expense reports quickly and easily. An effective accounting strategy involves managing day-to-day finances and planning for future cash flow forecasting. 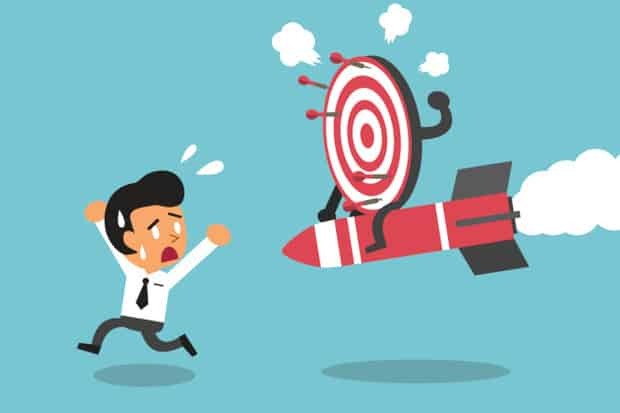 Many businesses often make the mistake of not putting together an effective strategy for any upcoming goals, which can lead to a huge loss in business. There are software and cloud-based solutions available for businesses that can help in tracking their financial investments, while also generating reports and providing analytical tools that small business owners can use for future forecasting. By using the various software options available to business owners, you can track long-term trends, find new ways to increase profit and identify, then eliminate any potential risks. Any reputable accountant will be able to advise you on what software options are best for your business and will be able to talk you through the reports and metrics that are commonly used to demonstrate how a business is performing. Every business should have budgets in place that they strive to adhere to at all times. Not doing so is a sure-fire way to guarantee you get things wrong when it comes to finances. It is an absolute necessity to provide budgets for your business, regardless of how big or small individual projects are. Knowing exactly where you finances stand once everything adds up will put your business in a fantastic position and that way, you can ensure you have the cash flow needed to achieve any growth plans you might have in future. Small business owners often manage all of their accounting in-house and whilst it might seem like a great way to save money, it often ends up costing small businesses in the long run. Not all business owners are professionally trained accountants, so don’t attempt to juggle too many things at once and delegate business duties wherever possible. Hire a professional accountant, invest some money in effective IT solutions and familiarise yourself with the accounting tools and trends out there so that you can ensure you stay ahead of the competition at all times.